Once failure happens, the kidneys don’t recover and dialysis or transplant is required. In later posts of these Organ Lessons, we’ll talk more about transplant since that is ultimately where we are headed. But right now, Mark goes to dialysis three times a week. 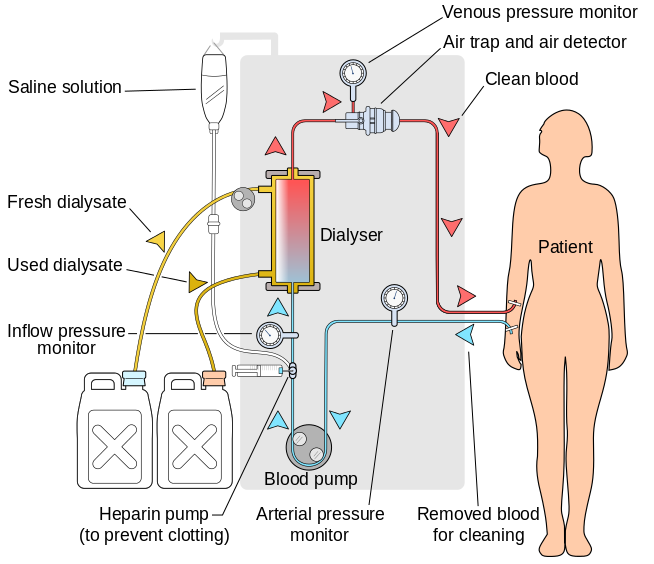 A machine called a dialyzer removes blood from Mark via a fistula* in his arm and runs it through tubes made of a semi-porous membrane. Outside of the tubes is a sterile solution called dialysate, which is a recipe made of purified water, sugars and other components. I know sodium bicarbonate is part of the recipe, and Lisa says sometimes Mark smells like baking soda afterwards. Red blood cells, white blood cells and other important blood components that I do not understand are too large and don’t fit through the holes in the membranes. The urea and salt, however, flow through membranes easily and are removed through the sterile solution, flowing into a used dialysate container. The blood is then returned to the body, completing the circuit. Heparin is added to enable the blood to flow easier, but sometimes does not keep all the clots from clogging the lines. I’m including a diagram created by a guy named Yassine Mrabet, freely available through Creative Commons licensing. That means it’s OK for me to post. Currently, Mark goes to dialysis three nights a week, for eight hours each time. Night dialysis has two main advantages. First, dialysis is slower than a daytime shift of four hours so the body can tolerate the procedure better. Second, theoretically the patient can sleep during that time and maintain some semblance of normalcy in their life. While Mark sometimes naps a bit, he has trouble sleeping during dialysis. He reports that all that blood moving through the body can be uncomfortable, and is similar to blood flow when you are running really hard. Usually he begins dialysis at 5:30, leaves about 3:00 in the morning and goes home to sleep for a couple hours before going to work. 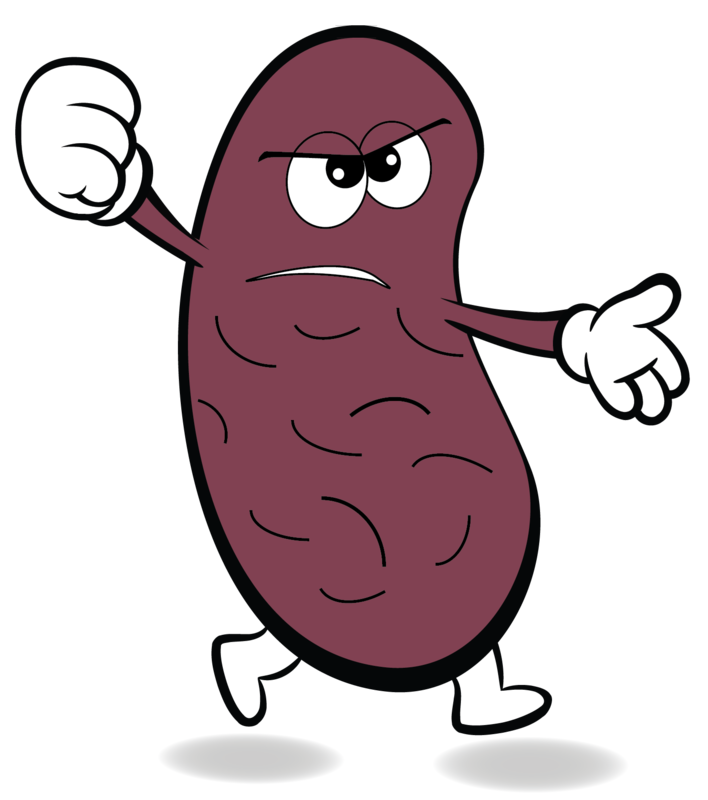 Our healthy kidneys filter our blood 168 hours each week. I’m told that our kidneys completely clean our blood every 90 minutes. 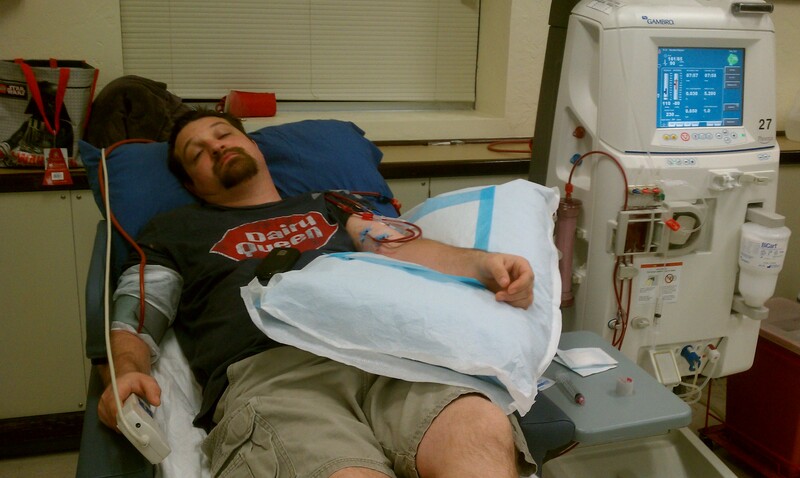 Mark’s kidneys only clean his blood for 24 hours each week. Aren’t you thankful for your healthy kidneys? Y’all are in my prayers! You are still teaching and still awesome! Thanks for the great post.